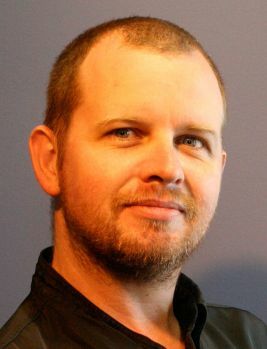 Bob Heppell, "No Strings Attached", has worked as a professional music teacher / educator and performing musician and conductor, now based in Rockhampton, Central Queensland, since 1989. Bob has taught orchestral string instruments for Education Queensland in most primary and secondary schools in Rockhampton and at the Capricorn Coast, as well as many other schools in Central Queensland. He has been a part-time lecturer for the Central Queensland Conservatorium of Music, Central Queensland University, and also teaches a range of instruments in his private practice, “No Strings Attached”. Bob is a regular performer in and around Central Queensland, as a soloist, with his String Quartet, “No Strings Attached”, as violinist, singer, caller and keyboardist for “Bobs Bush Band”, as well as with other bands and ensembles. He is currently the resident musician for Glenmore Homestead. Bob trained under internationally renowned conductor, Jerry Nowak, in 1997, and was accepted into the prestigious ABC National Young Conductors Course in 2000. Bob has been the Conductor and Musical Director for the Central Queensland University Philharmonic Orchestra, The Rockhampton Youth Orchestra and The Gladstone Symphony Orchestra. For the past 12 years, he has been the Conductor and Musical Director for the Rockhampton Venues and Events (Rockhampton City Council) Pro-Am music theatre productions. The 2007 Rockhampton Venues and Events production of West Side Story, marked Bob’s 12th musical as a professional Musical Director, and his 50th music theatre production to date. Highlights of Bobs career to date include many performances at The Queensland Performing Arts Complex, (often as Concert Master and Soloist), and at The Sydney Opera House. He has also performed in Melbourne and Canberra including, a solo performance for The International Society of Music Educators conference at the Canberra School of Music. He has accompanied many renowned artists, including James Morrison, and has opened for and played with James Blundell, amongst others. He has performed for Royalty and has played several World Premiere performances. For more information or to make a booking or enquiry, please email Bob using the contact page. [violin, viola, cello, 'cello, bass, double bass, theory, string, strings, lesson, lessons, teacher, tuition, repairs, violin repairs, string repairs, strings repairs.